Quest Wireless Can Flash Your Mobile Phone! Love your phone and want to keep it but not your current your carrier? 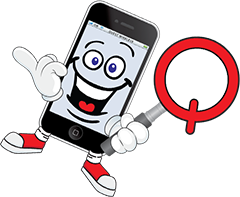 Quest Wireless Sales and Repair will Flash your phone to a new carrier. We offer nationwide coverage with 4G speed and unlimited data plans. Cell phone flashing with Quest Wireless Sales and Repair allows people to take the newest phones and use them with a more reasonably priced provider or even a prepaid cell phone provider. You can take your phone high-end phone and use them on with a quality service provider, without those high bills. Flashing is a practical solution for the average cell phone user looking to save money without sacrificing all the features they love. Almost all cell phones can be flashed or unlocked, which means you can move away from your expensive carrier and work with one that will provide you with the service you are looking for, for the price you need! We are conveniently located in Kansas City, MO for all your cell phone sales and repair needs!